I know, I know. The James Bond reference is corny. Or is it? It so happens that a good friend of mine graciously gave me (well, in all honesty, I pried it from his cold clenched hands..) two really sweet Hotwheels models. One a 1963 Aston Martin DB5 and the other a 1965 Ford Mustang Fastback. You know what that means. MACRO!!! So here’s the first of many! What do you think? I’m thinking of doing a few cool albeit cliched real world composites with it. The most beautiful Aston ever. 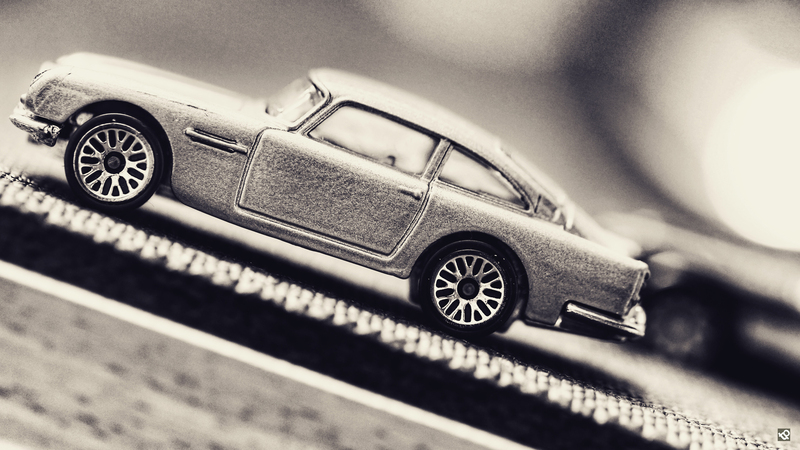 The 1963 DB5. Oh and it’s clickable for a 4K Wallpaper. I love drawing these types of cars, they certainly have great character. Oh absolutely. And lines and curves to die for! You don’t get many designs like this these days. Handsome! Just out of curiosity, why did you use such a high ISO setting?